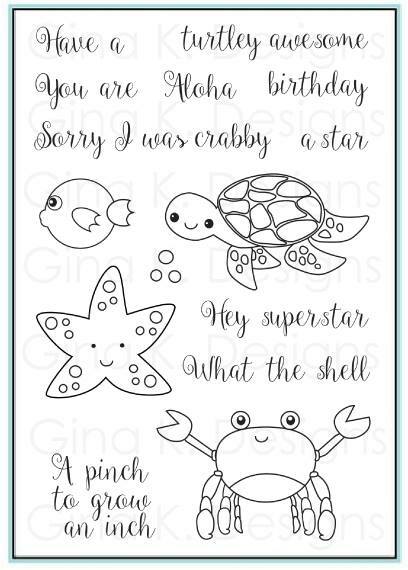 The Cast and Crew for Gina K. Designs welcomes you to day two of another fabulous blog hop celebrating the new stamp sets by Gina K. and the illustrator team from Gina K. Designs! We hope to inspire you with some beautiful card projects as you hop along to each designer’s blog! Today we are featuring the stamp sets by Beth Silaika and Claire Brennan. 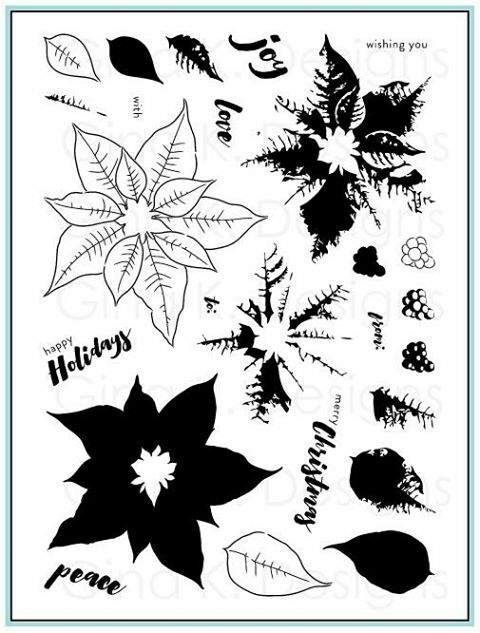 And just for fun, I am going to show you our new incentive stamp set too! Here is the card I made using this set. I couldn't resist that starfish! I plan to use this set over and over because I just love it! Don't forget to pop over to the Gina K. Designs store and check out all of the new products available this month in the What’s New section. I'll be back tomorrow and you aren't going to want to miss that post!! 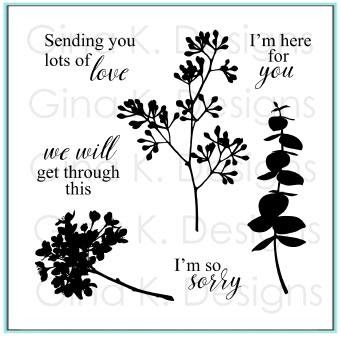 I really like this poinsettia design! So funky! Fabulous cards. I love both of them! So pretty- Thanks for sharing! Susie, I love the bright colours on your cards. They are so fun and celebratory. Great job! I like the bright colors with the star fish. It just screams happy. Great cards! Very creative pointsettia card! Thank you for the inspiration! Amazing cards from these sets. I love the look of the black and pop of red poinsettia one. That is a different and lovely way to use that set. Great cards, love the way you did the pointsettia card. Thanks for sharing and inspiring us. WOW! Wonderful cards. Love them all. Adorable cards. Really like the starfish card. The bright colors on the red base make for a very fun card. Unusual techniques the work well together. Wonderful cards...that poinsettia on Kraft paper is a Wow and a outstanding twist. Thanks for sharing your creative and inspiring us to think out of the box. Great rainbow background and then your poinsettia card is amazing. Always love your use of color! The patterned paper (origami?) is my favorite. TFS! Your starfish is definitely irresistible. Great cards. Really like the poinsettia card! Fabulous work for this release! Great new sets! Thanks for sharing all this inspiration. Very pretty cards. I especially love the poinsettia card. I love the colors you chose for your cards! The starfish looks great with the rainbow stripes behind him! Fantastic cards! So colorful, vibrant and bright :) I love your use of enamel dots! Love these cards so much. Thanks for sharing. Great set of cards!!! Beautiful and sweet!!! Red is my least favourite colour but I love how the first card turned out. Thanks for sharing your creativity. Fabulous cards Susie! Love your beautiful poinsettia card! Love your cards Susie! My fav I think is the poinsettia! These are all pretty and I love your bling. Your bright 'Sorry' Superstar cards makes them a little source of happiness to brighten someone's day! Susie, as always you cards are fabulous. Love them all. Very beautiful cards ! I especially love the two first ones. The poinsettia card is gorgeous and the star ⭐️ fish 🐟 is so darn cute? I love ❤️ the bright cheerful colors you used.